Tara Darby's photographs have a warmth and texture that unearths a wealth of unexpected emotional facets such as timelessness and longing. The personal and approachable emphasis that she applies to otherwise seemingly candid snapshots has allowed her to cultivate a unique working style. Darby's Literary Journey series recounts her travels through towns and cities used as settings in great books of American 20th century literature. Her first journey followed Truman Capote's In Cold Blood and was recounted episodically on the Another magazine website. 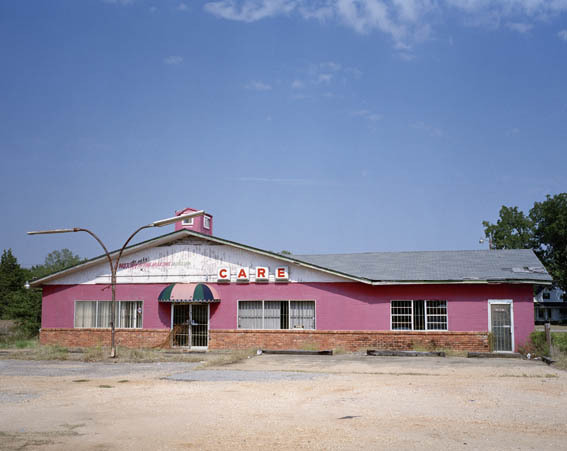 The second journey features in this show at Transition and takes her to the Deep South to follow the plot and locations of Carson McCullers' 1940 novel The Night is a Lonely Hunter. The story centres on the experiences of a deaf man, John Singer, and the people he meets in a 1930s mill town and was the first in a string of works by McCullers to give voice to the rejected, forgotten, mistreated and oppressed. 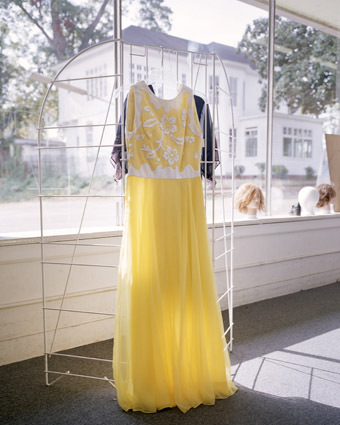 The dress glowed in the window as the sun shone through. Outside there was a parked car with 'we love Jesus' written on the window. The dress made me think of Mick, of her need to be recognised, her brief attempt to conform. The night of her party where she trades her shorts and t-shirt for a beautiful dress, the night she becomes a woman, just to see how it feels. Tara Darby contributes to titles such as Another, Dazed and Confused, British Vogue, The Wire, The Observer, W Magazine, V and The New York Times. She has collaborated on two books with the Art Director David James; 'Room' a Transition Gallery publication about artist Delaine Le Bas and Jenny Saville's first monograph published by Rizzoli. She has exhibited at the Dazed and Confused Gallery, Printspace, The Printhouse Gallery, Paul Smith's Globe and Yinka Shonibare's Space.